During his time at the helm of the company, which celebrated its 150th anniversary in 2004, he was involved in such major projects as nuclear power stations, wind farms, and the Channel Tunnel. James Douglas Howden Hume was born in Melbourne, Australia, on May 4 1928, where his father, Jimmy Howden Hume, had been installing Howden fans and other equipment in Munmorah Power Station. He was named after his great-great uncle James Howden, the renowned Glasgow engineer and inventor, who founded the firm in 1854. After returning to Scotland in 1930, the family settled in Cromalt, East Clyde Street, Helensburgh, within easy reach of the Scotland Street office and works near the centre of Glasgow and very handy for the family passion of yachting. He lived in the burgh for the rest of his life. Douglas served his apprenticeship at Howden from 1947, and qualified as a "reliable craftsman in all aspects of general engineering" in 1955. During this period he did his national service as a subaltern in the Royal Artillery and crewed on his father's six-metre yacht in the 1948 Olympic Games at Torbay. where he carried the flag for Great Britain at the head of the procession. In 1950, he married June Spriggs, the younger daughter of Sir Frank Spriggs, managing director of the Hawker Siddeley Group, and the couple made their home at Pulchrain, East Abercrombie Street. Thirty years later they moved to Drimard, East Lennox Drive. Douglas went to Glasgow University where he studied mechanical engineering, graduating with an BSc honours degree in 1953. This was followed by a fruitful three-year spell with David Nicholson's Production Engineering, and on returning to Howden, his first task was to modernise its production methods. The result was that Howden was able to announce a ‘no redundancy’ policy at a time when over-manning had become endemic on Clydeside. A vital principle of this policy was that no skilled workers were shed from Howden. This was a revolutionary approach to industrial relations and was undoubtedly a key to the survival of the company when economic conditions were not good. When his uncle Crawford William Hume — a brilliant engineer for the company for 50 years — retired in 1963 as chairman, Jimmy Howden Hume, who had been managing director since 1934, took over. Douglas was appointed managing director, a position of responsibility for which he had received a thorough practical training. One of his first initiatives was the amicable merger of Howden with Godfrey Engineering, which brought their experience of the precision engineering of Lysholm rotary screw compressors to Howden. Today, the Glasgow Craigton factory has a worldwide market for these specialist compressors. The next major initiative overseen by Douglas was the gas circulators for the advanced gas-cooled reactor nuclear power stations, a unique Howden design that stood the test of time with trouble-free operation. This was followed by the Channel Tunnel project, which saw the Scotland Street factory making the two giant 600-ton machines which successfully completed the drilling of the main tunnels. The first two prototype wind turbines to generate electricity for the national grid in Britain were made and erected by Howden in the early 1980s, at Carmarthen in Wales and Burgar Hill, Orkney. Douglas was keen on this pioneering development, which was initially successful, but, after a catastrophic and expensive mechanical failure at what was then the largest wind farm in the world, at Altamont Pass in California, they were discontinued when new leadership took over at Howden in 1988. Tom Zacaroli, an American colleague who was appointed chief executive officer of Howden by Charter plc when it acquired the company in 1997, wrote of Douglas: "He was a serious businessman — but he did a great job hiding it. “He was about fun and people. As a boss, he was always fair. He listened. He advised. And he could always be counted on to help as a friend when you needed one. “I cannot recall a single instance when I was forced to do something I disagreed with and never anything I thought was unethical." 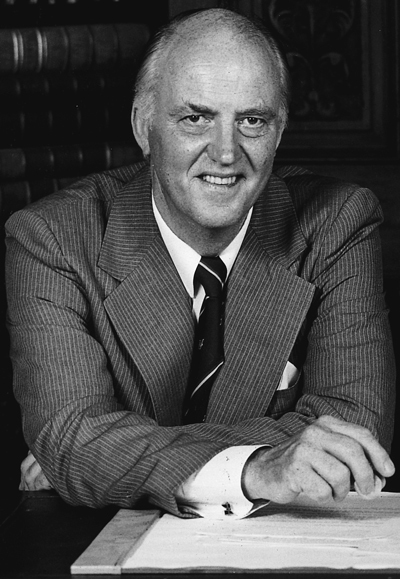 Douglas left Howden in 1987 after serving as managing director for 23 years, during which time the annual turnover grew from £5m to £500m. He became chairman of the industrial committee of Glasgow Action and chairman of Magnum Power Solutions, a small company that made a built-in power supply for computers. He had a wide range of interests and enthusiasms. He loved sailing, racing on the Clyde and elsewhere with his wife June — although her great sporting interest was tennis and she was ladies champion at Helensburgh Lawn Tennis Club in 1965 and a ladies first team player for many years. 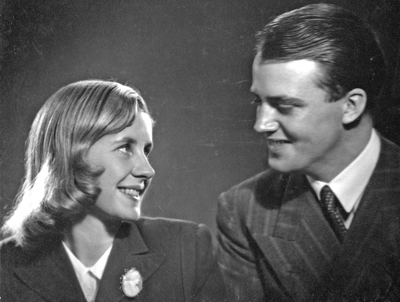 The couple met in 1947 while sailing in Cowes. Along with sailing, once they were married, they also enjoyed fishing and skiing together. One of their favourite family cruising holidays was among the Greek islands. He was an expert fly fisherman on the Spey, Tay, and the Findhorn, and a first-class shot during the pheasant season. He loved classical music, and was a great supporter and enthusiast of the visual arts. He was generous to friends and family, typically inviting 21 of his close family as his guests on a 10-day trip on the Nile to celebrate his 80th birthday. After 53 years of marriage June, who as a sprightly 70 year-old had climbed Ben Lomond by torchlight, died at the age of 77 from cancer. Douglas Hume set up the June Hume Memorial Fund to support terminally ill individuals locally and throughout Scotland. When Douglas passed away on April 26 2009 at the age of 80, the family renamed the charity The June and Douglas Hume Memorial Fund. It is run by the Scottish Community Foundation and has already helped many people. A spokesman for the fund said: “The purpose of the fund is to provide financial assistance for terminally ill patients who wish to spend their final days in their own homes. These patients often require specialist equipment urgently. Their elder daughter Evelyn pre-deceased Douglas, and he was survived by his son Duncan, his younger daughter Clare, and ten grandchildren. This article draws heavily on an obituary submitted to the Helensburgh Advertiser by David H.Hume, younger brother of Douglas.